A great deal of user experience design relies on the proper application of mental models. And yet, increasingly, product managers, innovators, and even user experience designers are only vaguely aware of the concept of mental models. In my opinion, it is one of the most important concepts in the entire realm of designing intuitive, usable products. Mental models are also an important tool in the innovator’s toolbox. Get it right, and your customers will “get” what your product is all about. Get it wrong, and they’ll be confused and leave. Lets look at few more examples of mental models that will be especially instructive. The first example comes from Kevin Lynch and his wonderful book, The Image of the City.This book was written by a Harvard architect and city planner who struggled with the problem of making the city accessible to its inhabitants. Have you ever walked about on Boston Common? If you have, perhaps you’ve experienced a slight sense of vertigo, of not quite knowing where things are in relation to one another. Many people I talk to have experienced this. The reason, it turns out, is that our mental model of the Boston Commons is that of a town square. Which, as you know, is square. (Or at least, a rectangle). But Boston Commons is neither of these. In fact, a map will show it has five sides, not four. It also big enough that it’s difficult to see all five sides from any one vantage point. And so our brains, lacking useful information from our eyes, keeps insisting it’s a square, with parallel side. 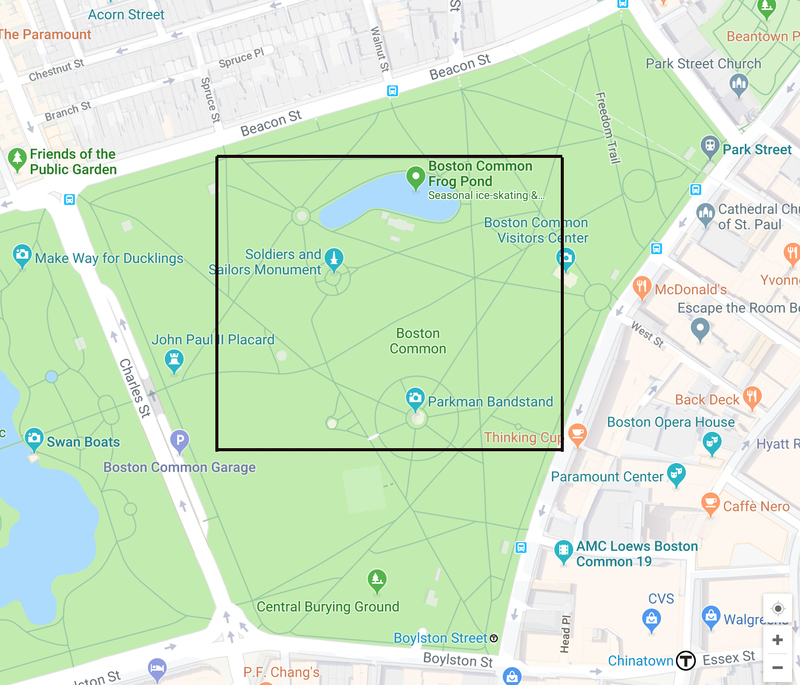 Here is a map of Boston Common, with a square superimposed by me, for emphasis. People walking across the Commons will quickly lose site of the edges. Their brains will revert to a known mental model – that town commons are rectangles, with parallel and perpendicular sides. And they will become disoriented, perhaps even lost for a moment. 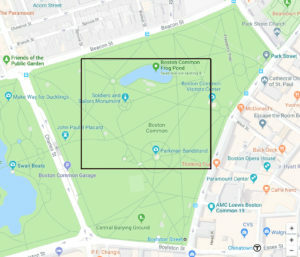 If you’ve never had the privilege of walking across Boston Common, perhaps you have experienced this phenomena: A building with the sides that are not rectangular. If you have, you will no doubt recall that getting oriented inside this type of building is constantly challenging, because your mind is always wanting all the walls inside to be either perpendicular or parallel to each other. Well, you might say, this is all so interesting but how does it pertain to software, or other products I might be creating? It has a great deal to do with it. In fact, if the mental model is wrong or confusing, nothing you can do in the UI or visual design will fix it. You must get the mental model right and all else flows from there. A good “bad example” is often the best teacher. Consider the plight of a very bright and capable software team who were tasked with putting their product’s documentation online. The product was a Unix workstation, a complex product to be sure. So complex that the documentation consisted of many volumes. 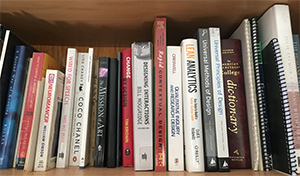 The team working on it came up with the metaphor, or mental model, of presenting the software UI to users as a collection of books. This made a lot of sense, and early testing with users went very well. As time went on, more “books” were created. And they reached a technical limit pertaining to underlying database constraints. It turned out they could only have a limited number of books. So they hit on the idea of putting books inside of books. The user would click on something that looked like a collection of books. They would then click on one of the books, but instead of seeing the contents of the book, they would see another collection of books. A great example of a mental model in software that works well is the shopping cart seen on Amazon (and, of course, many other sites.) It works well for a number of reasons. The first is that it is something we’re all quite familiar with – a physical shopping cart in a physical store. It helps users organize the things they are contemplating buying before committing to the actual purchase. And that is the key aspect of the mental model I want to focus on. In the early days of Amazon, the “Add to shopping Cart” button had a little phrase just below it. It said: “You can always remove it later”. This alleviates the users worry that they want time to consider their purchase before committing. And this is how physical shopping carts work too – you can always put the product back on the shelf. The mental model of the shopping cart was very cleverly leveraged by eCommerce to alleviate user worry and simultaneously increase purchase completions. Metaphors are a great way to help users build mental models. To be clear, a metaphor is NOT a mental model, but a metaphor can help the user build the mental model you want them to. The classic metaphor in software is the Xerox Parc Desktop, later adopted by Apple and Microsoft. This was a breakthrough concept in its time and it’s worth remembering the goal of the designers. At that time, computers were only used by engineers who understood the inner workings of the computer. When they typed in a command on a command line, they had a pretty good mental model of what the computer would do with that command – how it traveled from the keyboard to computer memory, and what the CPU would do with that command to execute their request. They saw no need to change this, and in fact many software developers today prefer the command line to the graphical interface. However, the designers of the Xerox Parc Alto, had a different vision. They wanted a computer to be a tool for everyone. They envisioned a world where computers sat in kitchens and desks. And they came up with the GUI and its organizing metaphor – the desktop. In the desktop we have a desk (the main screen on the computer), documents and folders. The relationship between these concepts was very clear. For example, a user can place a document inside a folder, but they can’t place a document inside another document. This metaphor literally changed the world, not only of computing, but of life as we know it. Kids and grandparents, revolutionaries and actuaries, rocket scientists and artists, all use computers now, thanks to this revolutionary breakthrough. So how does one apply this to creating products and being an innovator? There are several ways. First, being an innovator means creating something new the world hasn’t seen before. When you do that, the world needs a way to relate to your creation. The best way to do that is by creating a mental model that your audience will readily understand. Care must be taken not to be too literal with whatever you are modeling. For example, if you’re modeling a collection of books, you don’t need a skeumorphic image of books and bookshelves. As we’ve already seen, that can just cause both confusion and limitations. A car is not a horse-less carriage. Second, to create a good mental model, write down the main concepts the user needs to understand to use it. Find an organizing concept or metaphor that will relate these concepts together. Find ways to visually relate them with the design of your app or website to convey these meanings. Third, remember that the underlying software model is NOT the mental model. Users don’t need to think about the schema your developers are using to hold things together. Push hard on this, because it’s very tempting to let the mental model be the software model. But this is the way of entanglement and confusion. Instead, think about the services or products in the world today that in one way or another provides some aspect of the need your product serves. Model your innovation after a sleeker, faster, more convenient concept of that. Mental models are part of human thinking. They help us organize our world, and help us predict outcomes to situations we haven’t actually experienced. Proper use of mental models help innovators relate their inventions to concepts the customer already understand, which speeds up use and adoption. In short, mental models are the innovator’s friend. 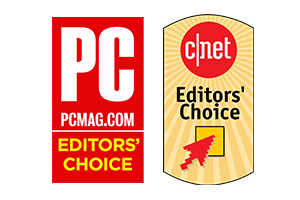 Products we have designed have won multiple awards including two PC Magazine Editor’s Choice and C|Net Editor’s Choice Awards.